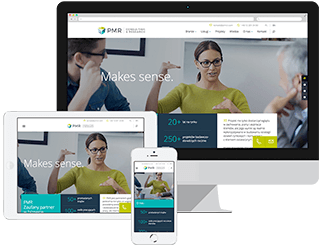 Using PMR services in the area of business forecasting our clients gain a powerful tool supporting them to accurately plan their actions, taking into account various perspectives. How will the situation on my market develop in the future? What are the most important factors influencing my market and what is their impact? What trends occur on my market and what risks do they pose? Clients interested in decision-making based on reliable business forecasts are offered information on the most likely future scenarios together with comments concerning the risks associated with various market trends affecting those forecasts. Having many years of experience in delivering expertise on the markets of Central and Eastern Europe we are able to take into account the specific context of this region when developing our models, which results in reliable forecasts and a better understanding of market trends. Preparing our forecasts we apply advanced quantitative methods together with analysis of aspects which cannot be incorporated into econometric models, related, for example, to the expected structural changes on selected markets. Our team is made up of experts knowledgeable in various areas. Making use of their diverse competencies we can generate the full picture of future changes on a selected market, reflecting the various aspects which may influence the functioning of an organisation. For our clients we prepare dedicated economic forecasts meeting their individual needs, assisting them in understanding trends on selected markets. In our analyses we make use of macro-scale forecasts regularly developed by PMR, forming the foundation for more detailed forecasts prepared on the basis of advanced econometric modelling, an in-depth analysis of market trends and potential structural changes. Additionally, in every project we take advantage of the knowledge of our market experts in order to take account of the specific circumstances of a given forecasting exercise. When faced with highly particular requirements we also draw upon external expertise, but we always make sure that the results obtained are consistent and understandable to the client. It is vital for us that the client, taking decisions based on the results of our research, fully understands all the factors relevant to our forecasts, therefore we put an emphasis on complete transparency of the entire analytical process.